Common Cause Wisconsin: Several Campaign Finance Reform Measures Could Be Passed In Wisconsin Assembly Before Budget Is Finished! Several Campaign Finance Reform Measures Could Be Passed In Wisconsin Assembly Before Budget Is Finished! Assembly leaders in a position to drive political reform in the Legislature are saying substantial progress on campaign finance reform can be made concurrent with, and even before work on the biennial state budget is completed by the state statutory deadline of June 30, 2009. At a meeting of the Common Cause in Wisconsin State Governing Board last week, the Assembly Majority Leader, Rep. Tom Nelson (D-Kaukauna) and the Chair of the Assembly Committee on Campaigns and Elections, Rep. Jeff Smith (D-Eau Claire) both said that Assembly action on three reform measures--two of which were first initiated by CC/WI in 1997--would occur in 2009 with Rep. Smith saying that it could happen by the end of June. Legislation to require the disclosure of the donors and regulation of the money funding campaign ads masquerading as issue advocacy has been introduced in both the State Senate as Senate Bill 43 and in the Assembly as Assembly Bill 63. This electioneering disclosure legislation mirrors new rules approved by the state Government Accountability Board in November 2008. The same proposal was introduced last session as Senate Bill 463, which was a rewrite of Senate Bill 77, which was passed in the Senate in May 2007 before the U.S. Supreme Court handed down its decision in a case challenging disclosure provisions of the federal McCain-Feingold campaign reform law. Senate Bill 43 and Assembly Bill 63 both reflect that ruling which ought to protect them from any court challenge to their constitutionality. CC/WI first proposed a version of this legislation in 1997. It has the support of State Senate Majority Leader Russ Decker (D-Weston and of Governor Jim Doyle, so unless there is an effort to quietly delay and kill this reform measure (always a distinct possibility in Wisconsin), this critical reform measure should be come law by mid-2009. Senate Bill 40 and Assembly Bill 65 have been introduced in the State Senate and State Assembly, respectively and are better known as the "Impartial Justice" measre that would provide full public financing to candidates for the State Supreme Court who agree to revised spending limits. Both Nelson and Smith said this is an Assembly priority and Decker and Doyle have also both expressed support for the measure. Finally, Senate Bill 23 and Assembly Bill 42 are similar bipartisan proposals to prohibit elected state officials and their campaign committees from fundraising during state budget deliberations. Rep. Mark Gottlieb (R-Port Washington), the Assistant Minority Leader and the author of the Assembly version, appeared before the CC/WI Board last week to talk about this and other campaign finance reform. Two significant differences between the proposals are that the Assembly measure applies the ban also to legislative campaign committees -- which do most of the fund raising during the budget period -- and extends the fund-raising restriction for the governor and lieutenant governor to include the period immediately after the general election when they are involved in drafting the governor’s proposed budget. These are both versions of a measure first suggested by CC/WI to then-State Senator Lynn Adelman (D-Waukesha) who introduced it for the first time in Wisconsin in 1997. Nelson and Smith both said that the Assembly leadership supports this proposal and both Decker and Doyle have expressed support for this measure in the near past. So, there is reason for real hope that substantive campaign finance reform can be enacted into law before 2010. But hope won't be enough to get the job done and in future communications we will talk more about how to make these proposals, law. 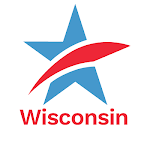 The Common Cause in Wisconsin State Governing Board hosted a public meeting on campaign finance and other political reforms. Speaking at the meeting were Rep. Tom Nelson (D-Kaukauna), Rep. Mark Gottlieb (R-Port Washington), and Rep. Jeff Smith (D-Eau Claire). The meeting was held at the State Capitol on February 17, 2009. Running time: 1hr 43min. Continued. Running time: 1hr 9min. Want Good Government? Join Common Cause in Wisconsin! Several Campaign Finance Reform Measures Could Be Passed In Wisconsin Assembly Before Budget Is Finished!Tweet this!